As well as being known for their iconic guitars, Fender also created amps that hold equally classic status – the Fender Twin, Deville and Deluxe are all revered guitar amps used by some of the world’s most renowned players. Fender Amplifiers have a long history. Leo Fender began building guitar amps before he started manufacturing guitars. The first of these amps were the K&F models, which were produced between 1945 and 1946. The original Fender amps were tube-powered and the company also started producing solid-state models in the late 1960s. 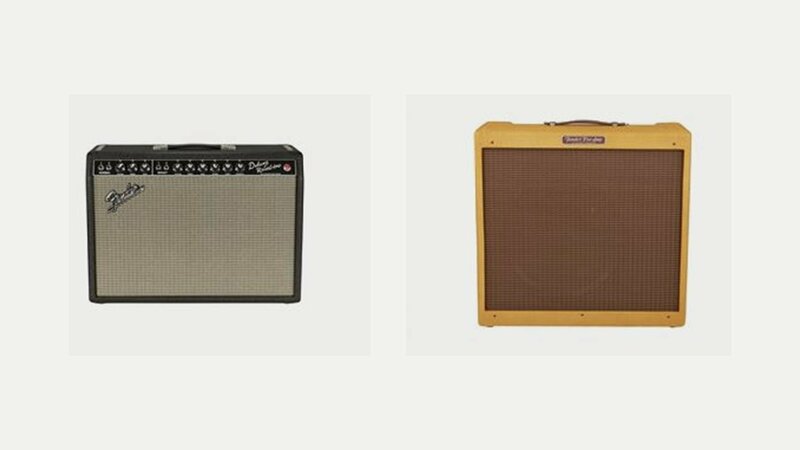 Fender amplifiers began making a name for themselves with the Tweed series, so called because of their cloth covering, which is actually varnished cotton twill. Today they produce a large range of amplifiers, manufactured in the USA and Mexico, at all price points, both valve and solid state as well as digital modelling, many based on iconic original designs from the 50’s and 60’s.